1. We headed to the mall today to get some Christmas shopping in. I picked up some surprises for family/friends, and the 2015 Guinness Book of World records for me. 2. I’m thinking about signing up for “Obama Care” insurance. Politics aside, any advice? Want to share your good or bad experiences? Sound off below! 3. Book of the week: Currently reading Death of a Christmas Caterer by Lee Hollis: A nice Christmasy cozy with recipes! 4. My first major press feature happened this week! So excited and honored! Hot Onion Dip with Bacon and Gruyere via Spicy Southern Kitchen: So perfect for game day! Mini Pumpkin Pie Cookies via Sweet Sugar Belle: Adorbz! 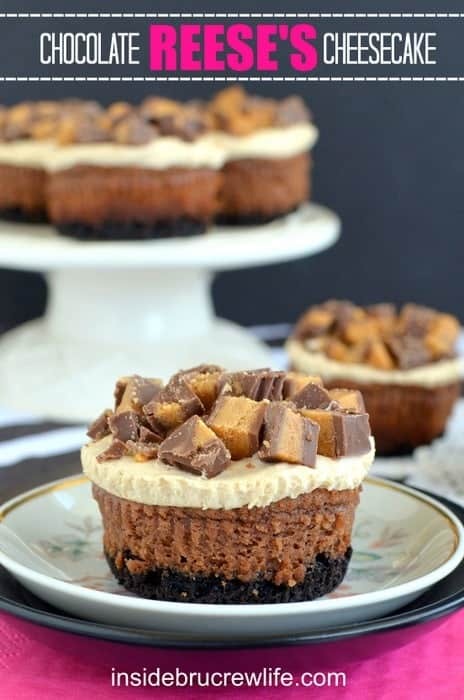 Oreo Reeses Cheesecake via Inside Bru Crew Life: So decadently delicious! Nutella Chocolate Cake via Life Love and Sugar: Next year’s Birthday cake Plz?